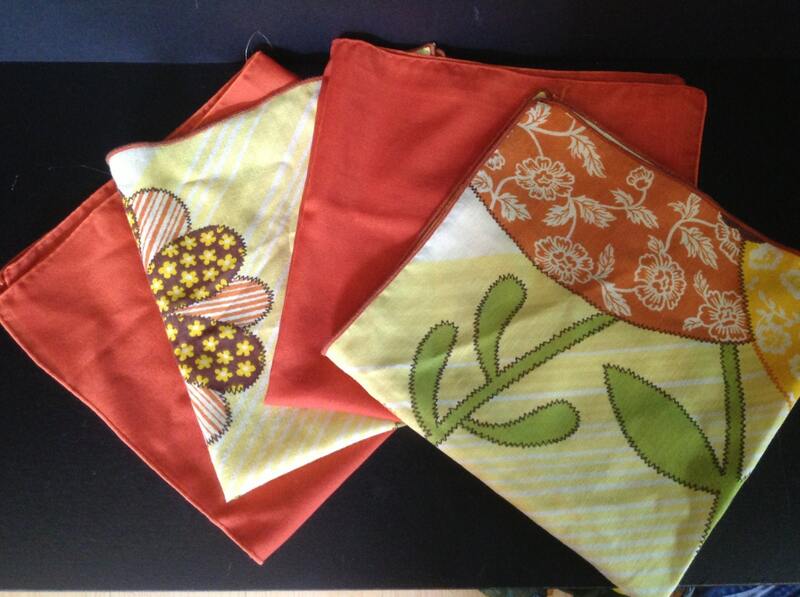 Offered is a set of 4 vintage cloth napkins. 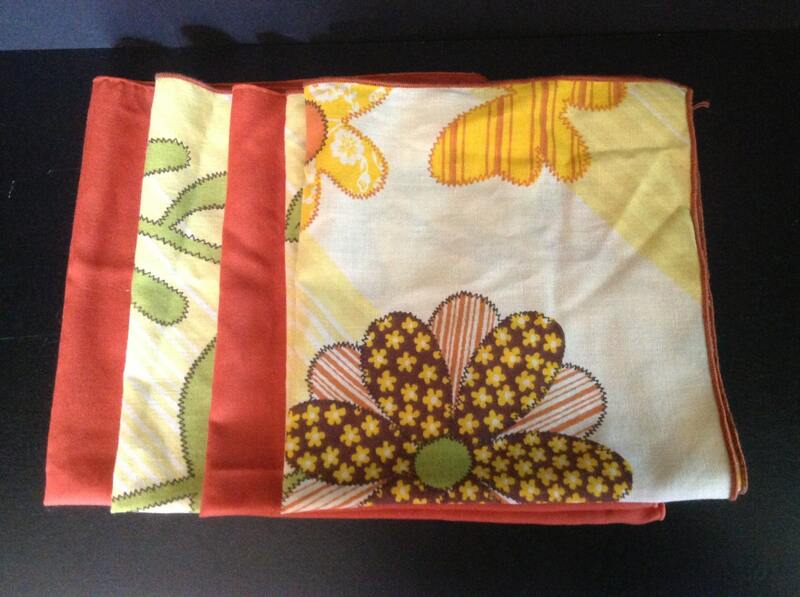 The floral gingham design of two napkins, in yellow, orange, brown and green is very l970's. The flowers include calico, stripes and bright green stems. A faux embroidered appliqué detail creates a patchwork feel. Great choice for a picnic basket! 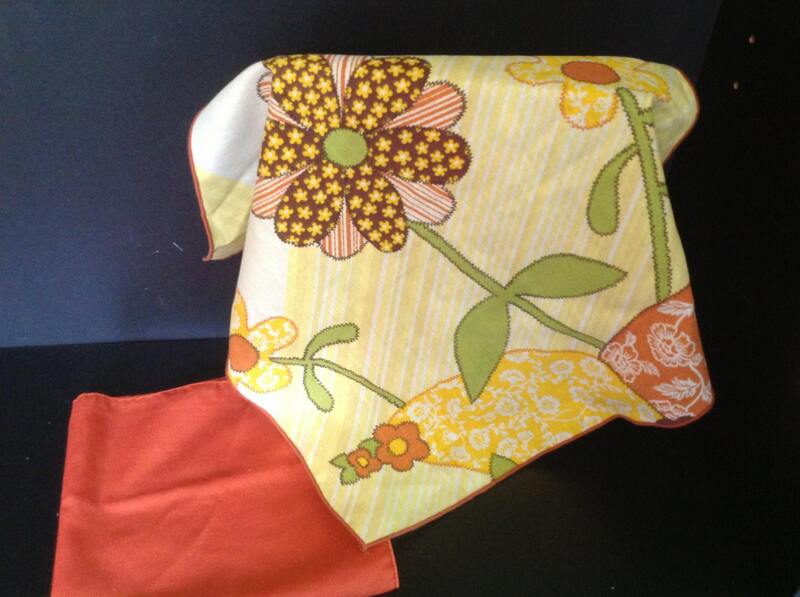 Two napkins are red-orange or rust in color. 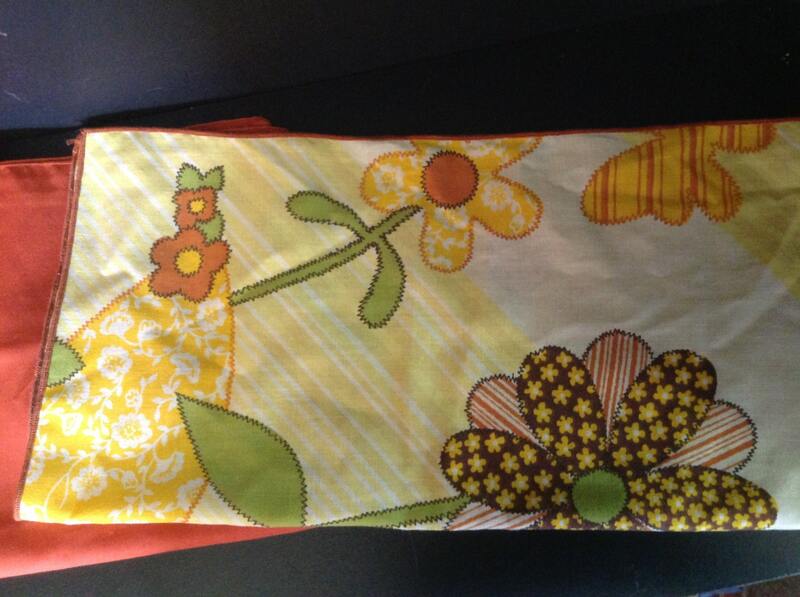 They accent the patterned napkins beautifully.